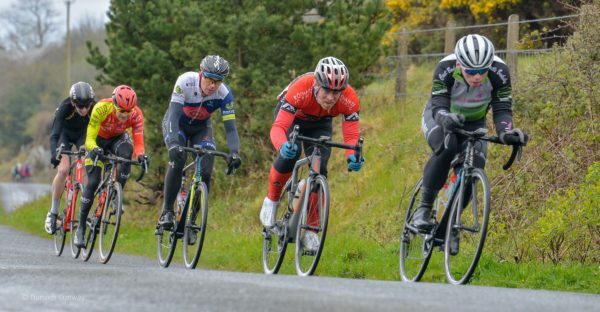 David Brody has taken victory on home roads in the Castlebar GP, arriving at the finish in Co Mayo with team mate Charlie Prendergast for company. 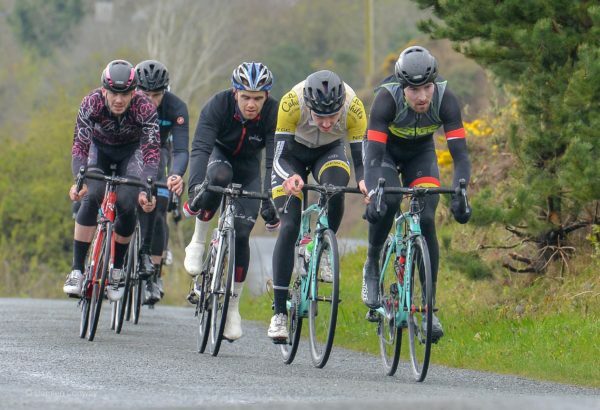 They claimed a Castlebar Cycling Club 1-2 just ahead of a group of four after the field had split to pieces. Breezy conditions and a lumpy course that took in two ascents of Nephin Mountain meant there was no place to hide. The main event was run off in a handicapped format, with a five-minute gap between the scratch and limit groups. With about 20km still to race what remained of the groups came together and from there an aggressive contest was played out. Eventual winner David Brophy puts the hammer down on the front on his way to victory. Prendergast has already won three races this year and been on the podium at total of seven times. And when he got together with team mate Brody, another man well able to move, they gained a gap that secured the spoils. The chasing group behind them was lead home by Richard Meaney of Westport Covey Wheelers. Stephen Murphy of Black Rose and Mark Quigley of Strata 3-VeloRevolution were next; in 4th and 5th positions. And rounding out the top six on the day was Sean O’Malley of Western Lakes Cycling Club.